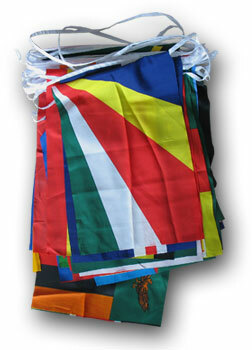 Our colorful, polyester string banners are great for all kinds of occasions. Includes 50 different countries on a 85' string. Each country flag is approximately 12"x18" in size.